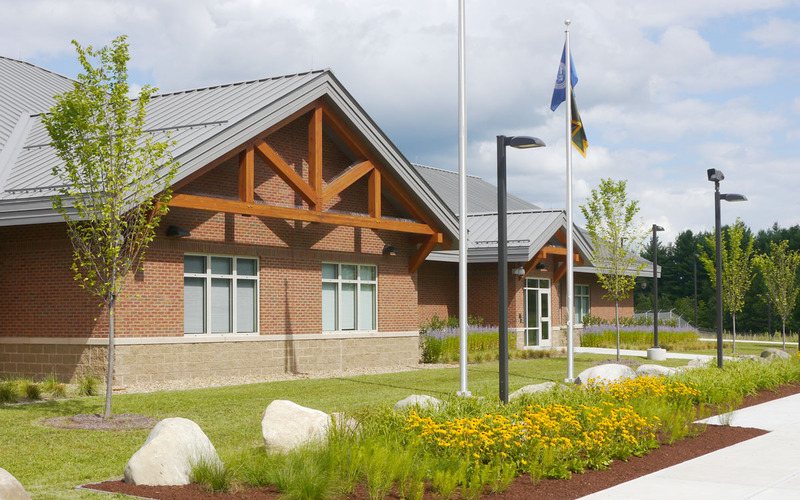 The two newest Border Patrol Stations along Vermont’s northern border are focused on ensuring a safe border while maintaining a friendly and welcoming presence. 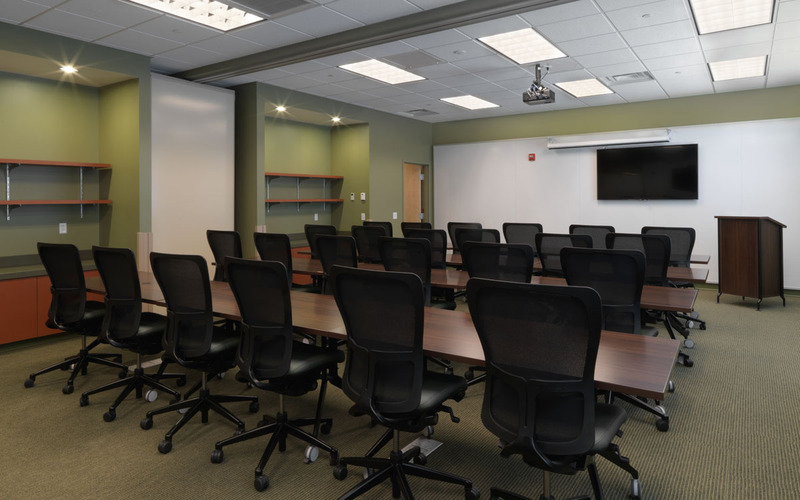 Located in Swanton and Beecher Falls, Vermont, each 40,000 sq.ft. 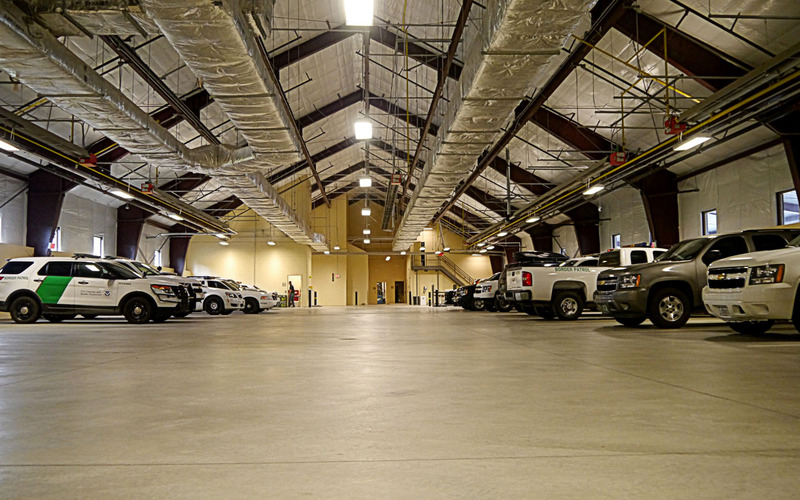 facility consists of a 50-agent station building with an attached parking garage and canine area. 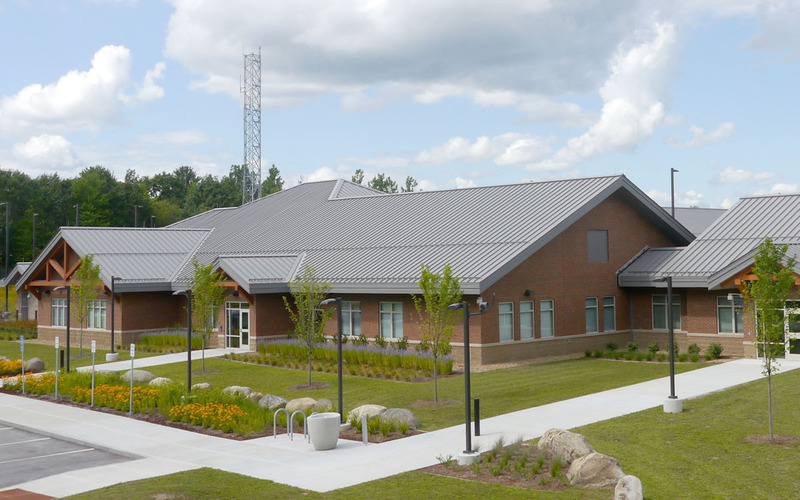 The station building includes agent offices, support areas, and a detention/processing area. Heating and cooling is supported by a closed loop geothermal well system. 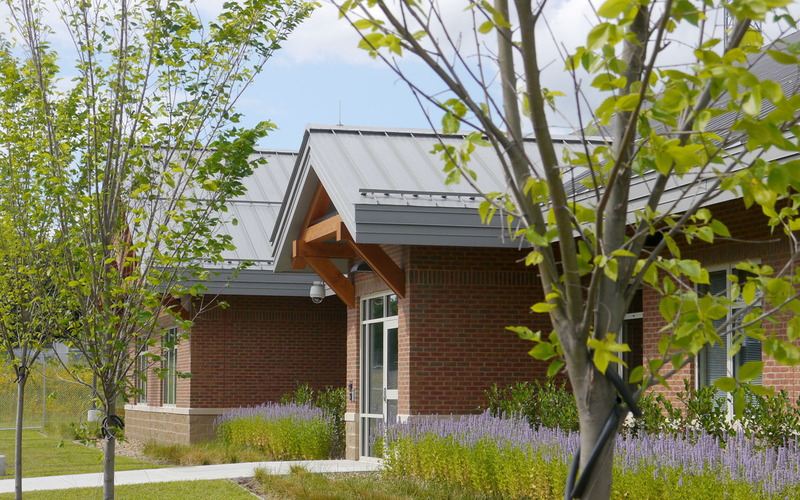 The Beecher station is LEED Gold Certified and the Swanton station is LEED Silver Certified.